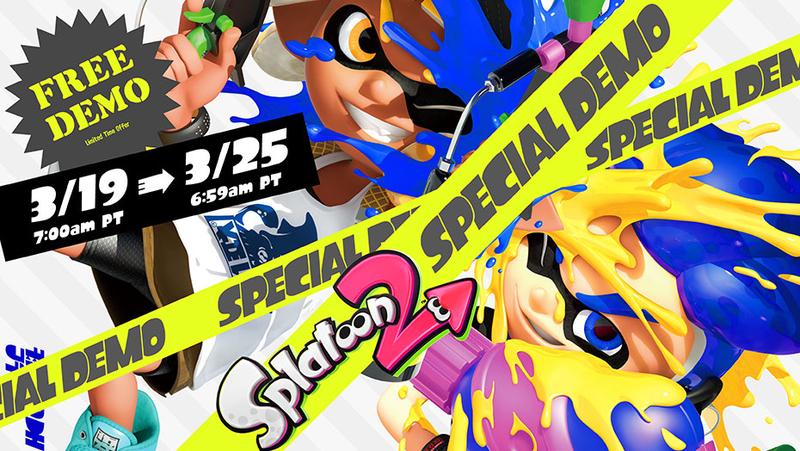 Nintendo has announced that it will be running a special Splatoon 2 demo week starting March 19th and running through March 25th. Not only will Switch players be able to play the mega-hit game for free during that time period, but they will also be able to score a sweet 20% off the price should they choose to purchase the game with all progress retained. In addition, Nintendo is including a seven-day free trial for Nintendo Switch Online. During the event, players will be able to try out 4v4 Turf War battles, Salmon Run, League Battle, and Ranked Battle Modes with others online. Gaming with friends isn't limited to other demo players either. Anyone playing the demo can also play with others who own the full version of Splatoon 2. The caveat is that the Octo Expansion is not part of the event, but will unlock if a player chooses to purchase the game.